I really love Rebecca’s idea to use local reference points to introduce the reconciliation syllabus to JD students. At UBC, we are blessed to be located on unceded Musqueam land in close proximity to the Musqueam reserve and to have a cohort of Musqueam, Tsleil-Waututh & Squamish students, not to mention wonderful Indigenous faculty members. So much of the Canadian law on Aboriginal rights and titles has come from right here – R. v. Sparrow  1 SCR 1075 and R. v. Guerin  2 SCR 335 are, of course, the biggest examples. We can and should do more to make these connections between place and curriculum alive for our students. One concern I have is about how to incorporate Indigenous perspectives, Indigenous elders and Indigenous teaching into our curriculum without making overwhelming demands on Indigenous leaders and Indigenous colleagues and without cultural appropriation or misrepresentation. Any ideas that others can share on that question would be extremely helpful to me. Another thing that I want especially to raise and discuss is the TRC recommendation that inter-cultural conflict resolution should be taught in law schools. I love this idea, and I am really not certain about how to advance it. Do others know of good resources that might assist us to tackle this recommendation? A further thing I wonder and worry about is how especially to support our Indigenous students as they are learning law. Changing the curriculum to ensure that Indigenous law and Indigenous perspectives are foregrounded with great respect is important – but so too is the material context in which our students study. Recognising that law school presents financial, emotional and other challenges to many students, I suspect that these challenges are especially acute for Indigenous students. Easing these challenges seems an important part of the #reconciliationsyllabus. My next task is to be a bit less introspective, and a little more instrumental, by posting some of the readings I actually use and discussions I lead in various courses. These could, I’m sure, be improved and added to and, yes, critiqued – please add your thoughts! This is my first blog post. And this is such a sensitive and important topic. Please give me feedback on whether I have understood the format correctly, and expressed myself in a helpful way! In 2014, the Canadian Association of Law Teacher’s held their annual conference in Winnipeg (http://www.acpd-calt.org/wp-content/uploads/2014/06/CALT-Conference-Program-May-26.pdf). Ovide Mercredi gave a speech at the dinner. During his speech he asked the group what significant anniversary was happening in 2014. The answer was the anniversary of the Treaty of Niagara. He then challenged us as to why so few of us knew that and why we weren’t teaching the Treaty making as opposed to just the Royal Proclamation. I have lots of excuses, but none are very good. Whether for the Reconciliation Syllabus or for ConLaw teaching, I can’t recommend John Borrows’ Wampum at Niagara enough. “Wampum at Niagara: The Royal Proclamation, Canadian Legal History, and Self-Government.” In Aboriginal and Treaty Rights in Canada: Essays on Law, Equality, and Respect for Difference. Vancouver: University of British Columbia Press, 1997. 155-172. It is listed on the UBC indigenous foundations site too. I think that is particularly important for those in my geographic area, given the nations who were represented at Niagara. But I think the article goes well beyond that in outlining the significance of Niagara. We call upon law schools in Canada to require all law students to take a course in Aboriginal people and the law, which includes the history and legacy of residential schools, the United Nations Declaration on the Rights of Indigenous Peoples, Treaties and Aboriginal rights, Indigenous law, and Aboriginal–Crown relations. This will require skills-based training in intercultural competency, conflict resolution, human rights, and anti-racism. I have been thinking about how to develop curriculum that addres ses this recommendation, and in doing so, have been thinking about how to make this recommendation more ‘personal’. That is, I have been thinking about ways the recommendation could be rooted in my own sense of “home”. What would it mean to find resources that speak to my own embedding, as a Settler-Canadian, in these histories? What would it mean to see MYSELF in this history? 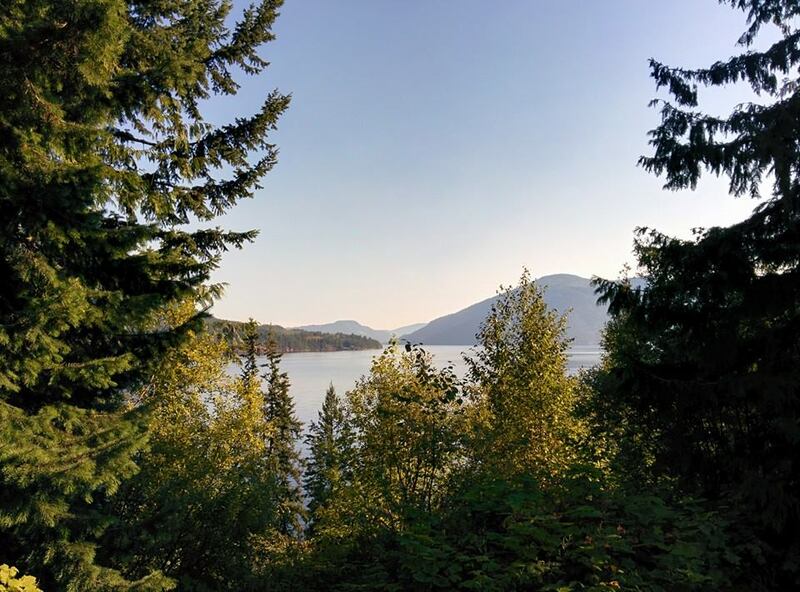 And so, I started to think about resources that are linked to my ‘heart-home’: the Shuswap Lake. Here are some pieces I have been thinking might work together as a pod of resources, one which is located in BC (given my location here), and which is located in the Shuswap (Secwepmc territory) where I spend my summers. I thought it a good place to start because I have spent so much of my life there, I deeply love the land there, and grew up (like many Settler Canadians) knowing NOTHING of the real history of the place, or of the law of the Secwepmc, or of this history of Setter/Secwepmc interactions. Partly, I wonder if one way for many of us in law schools to start doing this work is to start it from the place that we are AT. That is, to try to gather together the resources that might enable us to really teach our students in the spaces that they learn… so they begin to see how the various stories of law are all around them in a very concrete way. I do not, of course, think that is the ONLY way to approach the work, but I do wonder about the ways the work might feel if we take seriously the ways in which we too (i am presuming a settler ‘we’ here, but am open to conversation on that point) are living on particular places, and might benefit from taking seriously the histories and resources of those places. And so, here is a first intervention, and I REALLY welcome ideas and feedback about resources, stories, documents that might work together to think about law school curricula linked to Secwepmc territory. Might be useful to start with questions about land and governance. Then, what about histories of residential schools? In this case, we have a wonderful memorie written by a student who attended the Williams Lake residential school. 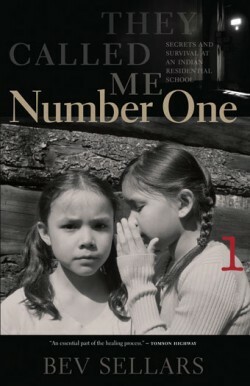 Bev Sellars, They Called Me Number One. The book is full of material that could link in easily to any number of courses and topics. It deals with language, parenting, land, education, torts, crime, politics, policing, governance, religion, hope, despair, etc. There are some very obvious links to mainstream curriculum. For example, the Principal at the Williams Lake Residential School was Archbishop O’Connor (familiar in the criminal law curriculum with respect to the right of an accused to have access to the private counselling records of a ‘complainant’ in a sexual assault case). I found it interesting to re-think/teach the story of O’Connor against the context of the work done in Bev Sellar’s memoire. Here, there is a chance to look at the Report of an Inquiry, and in this case, a fairly short report. Nicely, Bev Sellars was involved in the Inquiry, so her memoire provides an occasion to ask questions about what does or does not end up in the Report of the Inquiry itself.